Prince George of Cambridge: kind of a big deal. Photo via The Guardian. With the recent birth of George Alexander Louis a.k.a. 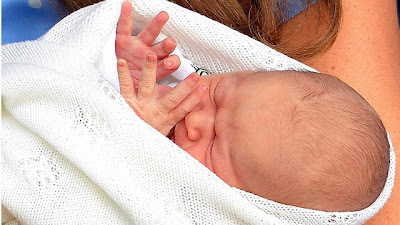 His Royal Highness Prince George of Cambridge, the implications will be wide-ranging . Flower shows in England hoping for increased attendance, and economists are projecting a Â£240 million (about $372 million USD) bump for Great Britainâ? ?s economy. Of course, Prince George is no ordinary baby. He's less than 20 days old and, naturally, already has his own Wikipedia page (donâ? ?t feel bad, he was born in to it.) So while Prince George is perhaps destined for the throne one day, he does have one thing in common with us, um, commoners: his birth is going to result in a lot of gifts and flowers for William and Kate, the Duke and Duchess of Cambridge. 1. Red-yellow Bi-Colored Roses: A mixed bouquet of yellow and red roses have long been a symbolic way of saying congratulations. But for a twist, what better way to offer congrats than sending roses that combine the two colors into one? Bi-colored roses are becoming increasingly popular, and itâ? ?s easy to see why with their gorgeous blooms. 2. Anemone: Its beautiful delicate blooms bring a quiet beauty to any space. Perfect as part of a bouquet in a newbornâ? ?s room. 3. Blue Hydrangea: An unexpected choice, maybe, but as part of a bouquet or arrangement, blue hydrangea stands out beautifully. 4. Sunflowers: Just a classic choice to bring some light into a room. Light and airy, sunflowers exude innocence and purity. A small amount of people develop sunflower allergies though, so if there's the slightest concern, go with a flower that produces little airborne allergens, like daffodils. 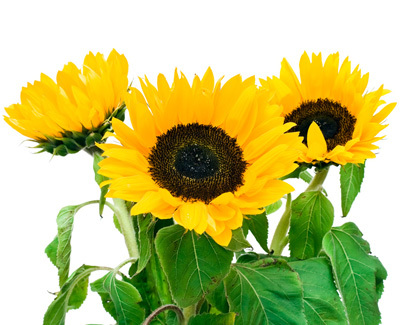 TIP: Buy sunflowers in bulk for unbeatable value. 5. White Gerbera Daisies: An absolutely stunning choice in any setting. The white Gerbera Daisy is classic, simple and representative of the innocence of youth that marks a babyâ? ?s first days. Check out this lovely bouquet. Do you send flowers to celebrate a new birth? What type would you send to William and Kate? Let us know in the comments below.